Can Sans by Fellines Is a rural house from the 12th to the 18th centuries located in Viladasens, completely restored and converted into a summer camp house. 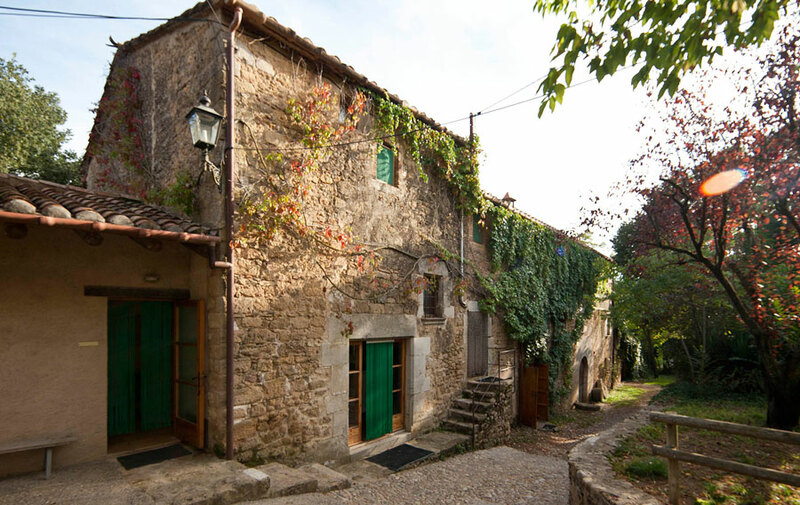 The house consists of two separate buildings: Cal Masover and Can Fava, two old country houses full of history now converted into summer camp houses. In the early 80s, Xavier and Clara decided to convert two of the cottages of the farmhouse into holiday homes where you can “live like a farmer without being a farmer”. 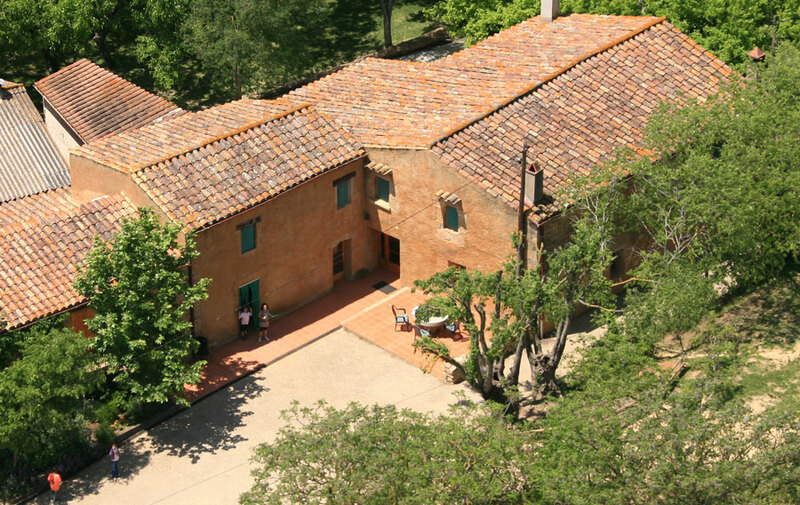 Since then, already more than 30 years ago, Can Sans has hosted hundreds of groups, esplais, groups of friends, families, schools, holidays, celebrations… Many of them have returned year after year, attracted by the family treatment of Xavier and Clara; by the natural environment of over 70 hectares next to the riera de la Cinyana; For home cooking and km.0 and for their services. A couple of years ago their son Bernat joined the team, bringing freshness and drive of young people. If you are looking for a holiday home surrounded by woods, fields to play in and forest, Can Sans is the ideal place for you. It will be our pleasure to open the door to our house. Can Sans Fellines summer holiday home has a capacity for over 100 people distributed over two separate buildings: Cal Masover with 72 places and Can Fava, which has 48. . For the sake of the comfort of our customers, we never welcome more than two groups at the same time. This way, everyone has their own space and we can guarantee maximum comfort and intimacy. And outside you will find an environment and facilities for an unforgettable stay: 70 hectares of land with its own forest where you can make endless discoveries and live adventures; a sports area with a 7x14 metre pool with a depth of 1 to 1.75 metres with 4 outdoor showers, football field, handball court, sports court with regulation basketball and covered ping pong; two porches where you can relax and a small farm of animals. In Can Sans we like to taking care of the children, young people and teachers who visit us. That’s the reason because our kitchen is 100 homemade and done with local products. We prioritize the nearby and organic farm, we cook seasonal food and also avoid the use of genetically-modified foods. We always try make different menus, balanced, especially food that likes to children and adults. We know that children, in the colonies, do many exercise and they need a complete meals which provide all the vitality. We realize that, increasingly, there are children with food allergies, food intolerance or special needs for religious reasons. For all of them, in Can Sans we have special menus adapted to each specific need. If you have any doubt about our menus, you can send us an e-mail to [email protected] and we will resolve it. Swimming pool: 7 x 14 mts and depth 1 to 1,75 mts with 4 exterior showers. Sports court with regular basketball.